Did you know that window treatments can dramatically change your living space? Certainly they're functional, ensuring privacy, protecting furniture, and lowering heating and cooling costs. Did you know that window treatments can dramatically change your living space? Certainly they’re functional, ensuring privacy, protecting furniture, and lowering heating and cooling costs. But beyond their practicality, window treatments enhance a home’s personality. Here are five exciting themes trending this year. First, let’s discuss your options. 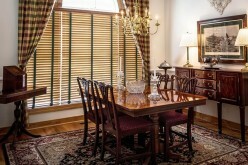 A window treatment is material that enriches a window’s appearance. There are 13 styles, each with unique features. By understanding their design and purpose, you’ll know best how to use them. This style is one long piece of fabric with horizontal pleats. When the shade is fully extended, the pleats lie flat against the window. When raised, they rest on top of each other. This design is both elegant and pragmatic, safeguarding privacy. This shade also consists of one piece of fabric, but the pleats are narrower and stiffer. The horizontal folds resemble slats, stacking when raised. A shutter is a fixed window covering that regulates light through horizontal vanes. The louvers open and close, varying the amount of natural light. 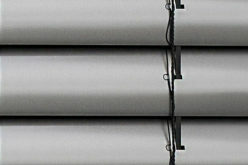 As with a shutter, blind slats are adjustable. However, the vents are either vertical or horizontal and held together by cords. A blind can be raised or lowered as a single unit. Raised to its full height, it creates an obstructed view. A solar shade is a sunscreen. Made of tightly woven fabric, it allows a specific amount of sunlight to pass through. The degree of filtering can vary, from 0 to 25 percent. Low percentages allow less visibility while high numbers allow more light. 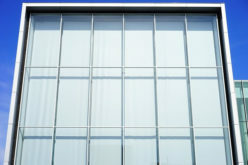 Solar shades reduce UV rays that can damage furnishings. By decreasing temperature transfer, they make your home cooler in summer and warmer in winter. Since they block glare, they’re suited to rooms with TVs and computers. Various types of lift systems operate the shades. Motorized and cordless systems are child-safe. Unlike most window treatments, even when fully extended, solar shades don’t block your view. Also called a "cellular shade," this type is highly insulating. Pleated fabric creates slats in a honeycomb shape. The compartments are available in single, double, and triple layers. By trapping air between a window and room, they prevent heat loss in winter and heat gain during summer. The shade is manually operated, remaining in place where you raise it. The versatile design allows you to either raise the bottom or lower the top. You determine the degree of light and privacy. 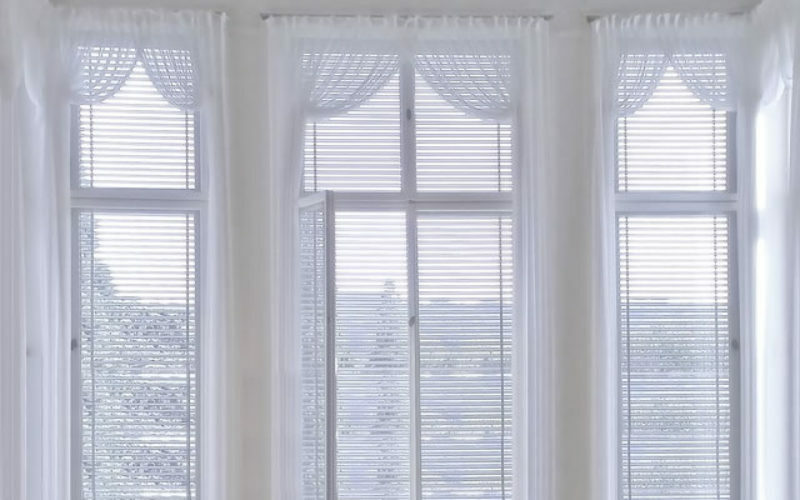 Cellular shades are ideal for street-level windows, bedrooms, and baths. This full-length blind consists of vertical panels that slide on a track. Fully open, they stack together for an unobstructed view. Panels are available in fabric, woven wood, and solar screen materials. This shade has a simple design, the fabric rolling up to a cylinder. Available in blackout and light-filtering versions, you manually control the amount of light. Though one of the least expensive options, roller shades can be quite decorative. This hybrid shade combines a horizontal blind with sheer fabric. The fabric slats float between two facings of knitted material. When open, they filter light. Closed, they provide complete privacy. Similar to a solar design, a sheer shade blocks the majority of UV rays. Room-darkening styles completely block light. Made of lightweight cloth, a curtain can be any length, though typically ending just below a window sill. The material hangs loosely from a rod, casting a fluid profile. You open and close it manually, by pulling the fabric left or right. Curtains lack the lining of drapes. A formal type of window covering, drapes are made of denser fabric than curtains. Being full-length, they hang from ceiling to floor, attached by hooks to a horizontal rod. Drapes are typically drawn by a cord at the side of a window. Pleats and backing give materials structure. A valance is a short drape, framing the top of a window. It can either hang alone or accompany curtains or blinds. The fabric can be ruffled, shirred, pleated, flat, or trimmed in beads. The bottom of a valance hangs freely, with soft edges. Also framing a window top, a cornice is rigid. It can be made of wood or upholstered with fabric over a shaped board. A wood cornice can be enhanced with trim or crown molding. A fabric cornice is smooth, completely attached to the board rather than hanging loose. Many materials portray opulence while imparting a specific mood. In the bedroom, velvet curtains are plush, dreamy, and insulating. In the living room, taffeta is crisp and shimmery, impressing guests. If you favor a vintage look, consider floral chintz, shown above. Another classy option is embroidered damask. Where you want to invite natural light, use sheer fabrics. Wispy voile trimmed in lace whispers romance. Gold and silver threads add panache to cotton and linen drapes. Also sleek is cotton sateen. If you can afford it, silk is a pricier textile but well worth the shine! Silk rayon is a less costly alternative. Metallic fabrics in gold and silver are especially lavish! In the limelight this year are jewel tones. The fashionable color palette includes ruby red, sapphire blue, emerald green, persimmon, amethyst, turquoise, and topaz. Here’s how to match them to your decor. Ruby Red – Complement this energetic shade with hardware in platinum, nickel, and gold. Sapphire Blue – Soften the drama of this hue with furnishings in blush pink and gray. Emerald Green – Ground this vibrant color with appointments in black and white. Persimmon – In your bedroom, consider a sunset color scheme. Evoke the image of a waning sun with orange, topaz, and lavender. Amethyst – Silver and gray blend well with this soft take on purple. Turquoise – Highlight this hue’s freshness with white window treatments. Pair them with furnishings in cheery yellow and rich brown. Alternatively, design an ocean theme in the bathroom, featuring turquoise and sapphire blue. Use your furniture and bedding as a guide to selecting patterns and prints. Offset busy decor with solid colors. Simple furnishings are enlivened with patterned designs. To add a spark of energy, match windows with dotted or paisley decor. For a vintage look, use antique curtain rods with decorative tips, such as finials or glass balls. Bronze rods have a rich sheen. Other classic options are braided tiebacks with golden tassels or medallions. Add pizzazz to curtains with pom-pom fringe. Velvet trim enhances a cornice valance. Ruffles, lace, and beads are romantic touches on sheers. Are you familiar with grosgrain? This woven ribbon dresses up blinds and drapes. Made of silk or rayon, it has a bright gleam. On window panes, add color and texture with decorative films. Enjoy the thrill of designing a stained glass window, frosted glass, or etching. Then, admire the sun’s artwork, painting your floors! Use billowy valances to make windows appear bigger and higher. Expand tight spaces with sheer fabrics, admitting natural light. Create depth with large geometric patterns. If you’re a woman reading this, you’re probably familiar with fashion advice about stripes. Horizontal stripes add width, and vertical lines are slimming. The same adage applies to window treatments. To enlarge a room, use designs with horizontal lines. Options are Roman shades, pleated shades, and blinds. To elongate walls, use the streamlined look of panel tracks, curtains, and drapes. You can also employ them as room dividers to section off space. Panel track treatments are popular for dining rooms, living rooms, and rooms with long windows. 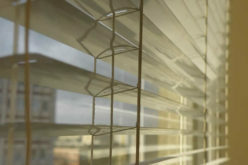 Companies specializing in these systems are American Blinds, Levolor, and Century Shade and Blind Co. 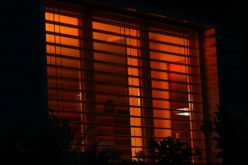 Sustainable window treatments are on the rise, such as bamboo and woven blinds. People are tiring of technology, and organic materials bring nature inside. Add sophistication by pairing natural blinds with sheer linen panels or curtains. These window treatments serve a dual purpose, admitting diffused light while ensuring privacy. Do you battle against allergies every year? Some eco-friendly fabrics are made with antimicrobial yarns. Also available are materials resistant to mold and mildew and colored with non-toxic dyes. Use window treatments to create an enchanting atmosphere while staying within your budget. Take advantage of sumptuous fabrics, such as velvet, chintz, silk, and cotton sateen. Alternatively, embellish cotton and linen with glinting metallic threads. Popular colors this year are jewel tones. 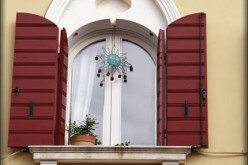 Wow your windows with vibrant hues of ruby red, sapphire blue, emerald green, persimmon, amethyst, turquoise, and topaz. In the 2017 spotlight are ornate embellishments. Pair vintage fabrics with antique rods, finished with decorative tips. Tiebacks are jazzy when sporting medallions and golden tassels. Dress up fabrics with velvet trim, grosgrain ribbon, ruffles, lace, and beads. Decorative films on window panes come alive when kissed with sunlight! 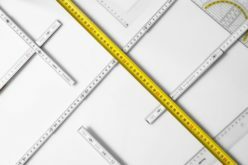 Window treatments can change your home’s dimensions. Billowy valances magnify windows while sheer fabrics expand small spaces. 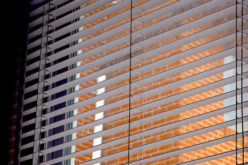 Enlarge your rooms with the horizontal lines of blinds and shades. Elevate ceilings by elongating walls with panel tracks, curtains, and drapes. They can also stand in as room dividers to section off space. Bring nature inside with organic elements, such as bamboo and woven blinds. Ward off allergies with antimicrobial yarns and materials resistant to mold and mildew. With these five tips, you’ll be an artist-in-residence, a decorator extraordinaire. Your home will be a gorgeous masterpiece. Have fun creating your castle!